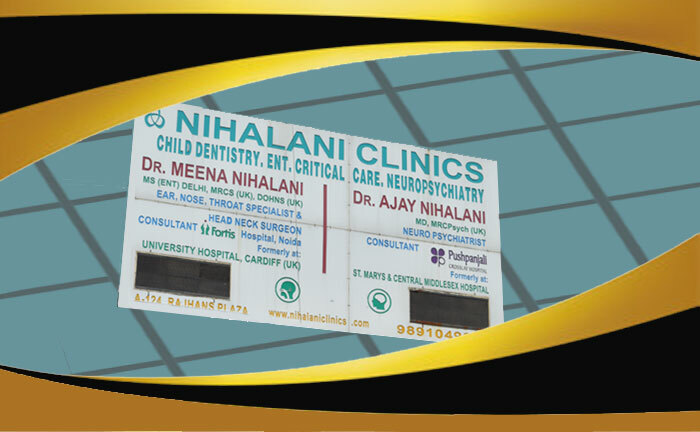 Nihalani Clinics is a family run clinic providing services in the fields of ENT, Child Dentistry (Paedodontics), Psychiatry and Sexology. Dr. Ajay Nihalani is a senior Psychiatrist and has his clinic at Indirapuram. He is a member of the Royal College of Psychiatrists (UK) via exam, the member of the American Psychiatric Association and Fellow of the Indian Psychiatric Society. He did his MBBS from LLLRM Medical College, Meerut and MD in Psychiatry from SNMC, Agra in May 2004. Having qualified exams for the US and the UK he moved to the UK in June 2004 where he joined the prestigious St Mary’S Psychiatry Scheme in London. He qualified for the membership of the Royal College of Psychiatrists in 2007 and was subsequently awarded its membership. He was a student of M.Sc challenging behavior at Cardiff University. He has gained cutting edge experience through working in centres of excellence like St Mary’s and The Maudsley at London in different subspecialties of mental health including general adult, old age, child, and adolescent, learning disabilities(mental retardation), deaddiction, forensic psychiatry and Sexual Medicine. He moved back to India in 2011 and offers consultation and assessment services on an outpatient and inpatient basis including pharmacotherapy, Psychotherapy, Counseling, Behavior and various cognitive therapies. He is amongst the few psychiatrists in the NCR offering RTMS (Repetitive Trans Cranial Magnetic Stimulation) and other neuromodulation techniques. ENT Services are provided by Dr Meena Nihalani (MS, MRCS, DOHNS). Dr Meena is currently working as a senior ENT Surgeon at Fortis Hospital, Noida and provides consultation at Nihalani Clinics. She is a alumni of UCMS, Delhi. She did her MS from Safdujung Hospital. She worked in the NHS(UK) for six years and gained membership of the Royal College of Surgeons, Edinborough through exam plus a Diploma in Head &Neck Surgery. Dr.Shweta Nihalani provides an ongoing assessment of your child’s oral and dental health. Being an expert Pediatric Dentist, she monitors your child’s needs and provides advice and treatment to ensure your child’s well-being. 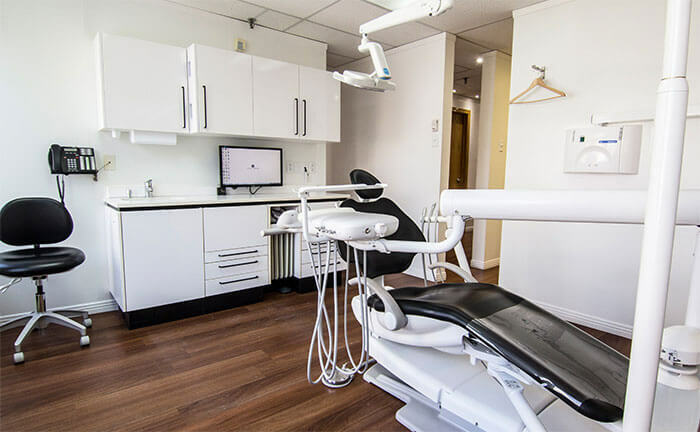 From teething infants to peer, appalled teenagers, to budding aspirant young adults, she has been spreading smiles and taking care of their oral health care needs to be based on their comprehensive health care needs and extensive clinical experience . 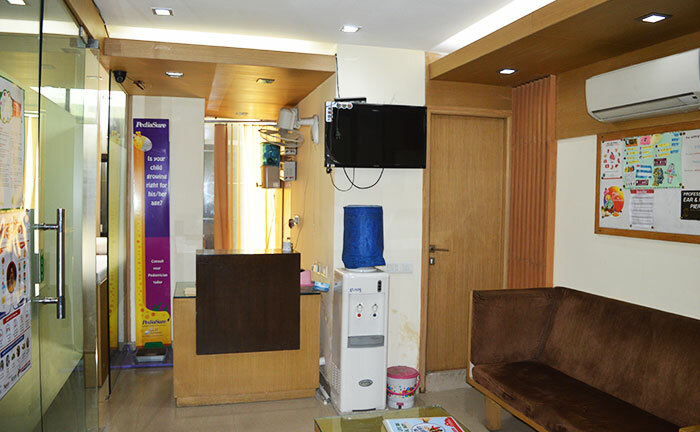 Our Dental Clinic is located at :- A-102, Rajhans Plaza, Ahinsa Khand-1 Indirapuram, Ghaziabad U.P-201014. Psychiatry & Sexology Working Time.